The Board of Control for Cricket in India (BCCI) has roped in the Tata Nexon SUV as its official partner for Vivo IPL 2018. This deal is for three years and soon, we’ll have stadiums showcasing the Nexon SUV in all its glory. Moreover, also expect a lot of TV commercials of the Nexon during the upcoming seasons of the IPL. Actually, the Board of Control for Cricket in India (BCCI) and Tata Motors have got into a new partnership, wherein the Nexon SUV becomes the new official partner for the Vivo Indian Premier League for next three years. It is noteworthy here that it’s actually after a really long time Tata Motors has got associated with cricket and there are high chances that the new Nexon SUV, whose highlights are the attractive design, modern engines, and a long list of features, would get into focus of millions of cricket fans across the nation. IPL has been a popular cricket format and the return of Chennai Super Kings and Rajasthan Royals for the upcoming edition of IPL will only increase its reach. 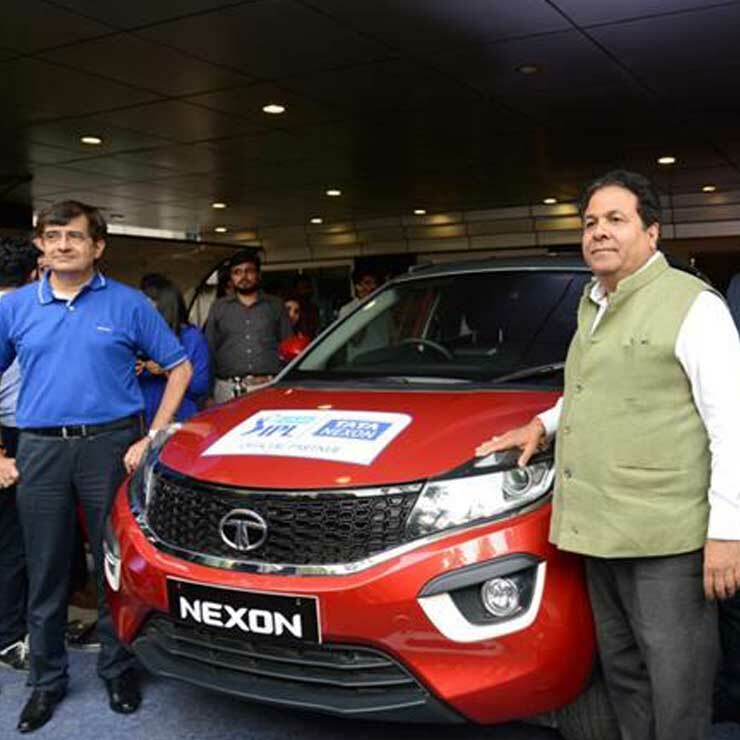 We are delighted to have our Level Nex performing brand Tata Nexon be associated with IPL, one of the biggest sporting event in the country that gives brands a very effective, large-scale platform to connect with its consumers. Cricket is the most celebrated sport in India and the IPL is all about Superlative Performance, which is also the mantra for the Tata Nexon. We are on an aggressive growth curve currently and would like to ride on the cricket wave to further strengthen our brand among the younger customer groups. We have big plans to capture the audience attention On-ground, On-Air and across Digital and we hope drive value from this association. Tata Motors will be seen conducting several promotional events at the upcoming IPL tournaments. The Tata Nexon Fan Catch is one of the upcoming engagement plans where anyone who takes a single-handed catch in a match gets a chance to win Rs 1 lakh. The season winner will drive home a Tata Nexon.